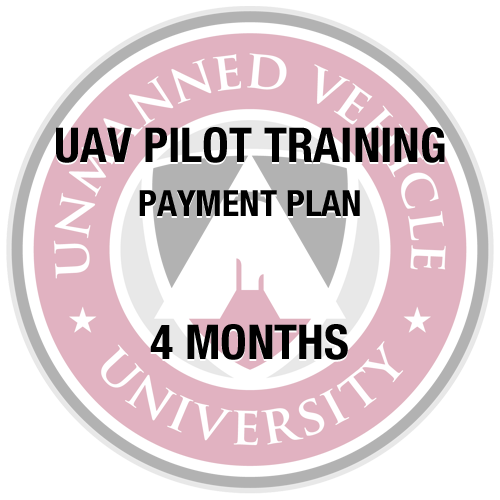 Note: Our subscription plan for our UAV Pilot Training course delivers the same content as the full course. This subscription charges $1,000/month for 4 months. 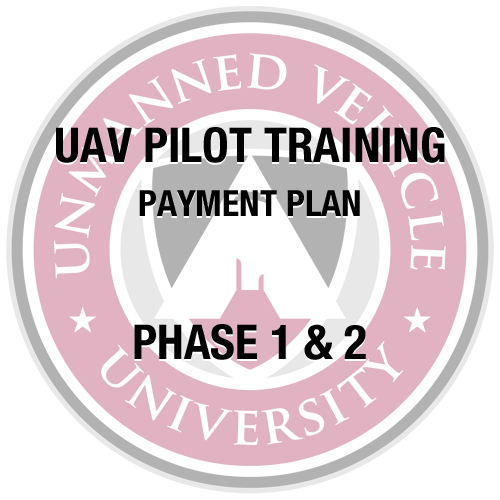 After each payment, you will gain access to the next part of the pilot training course. The hands-on flight training portion will be available after the last payment. If you require the other payment plan or would like to pay in full, see the products below. 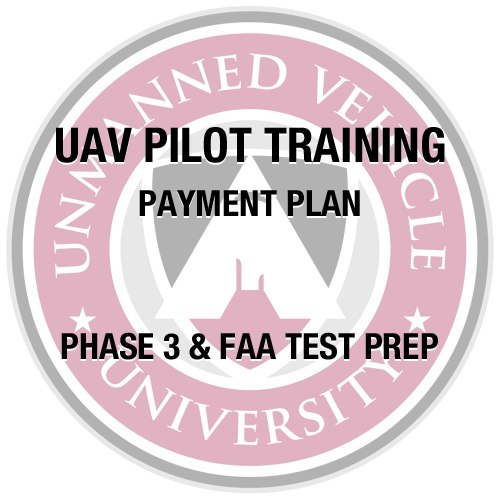 Our UAV Pilot Training Program will get you ready to service industries such as cinematography and filming, real estate, construction, surveying and mapping, agriculture, industrial inspections, utilities inspections and many more. 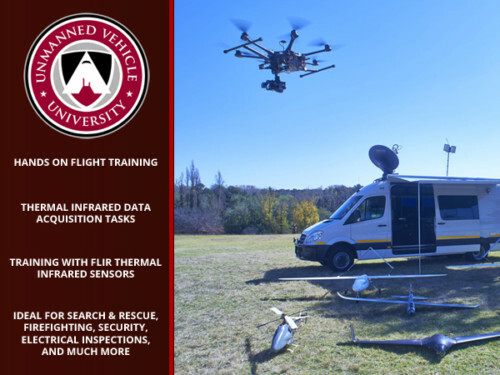 The web-based ground school consists of 20 topics that prepare the student in all aspects of UAVs. Some topics included are Remote Sensing Theory, UAS Design & Construction, Rotary Wing Fundamentals and many more! The simulator consists of software and a controller that plugs into your computer’s USB port. You will be able to fly 47 different small UAVs from 6 different test sites. 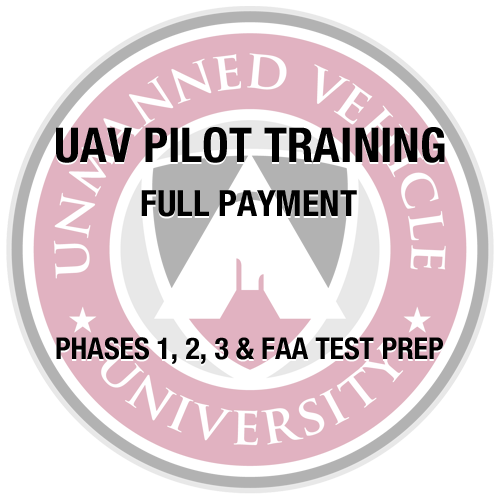 This hands-on experience will prepare you for flight with several real small UAVs during your 2 day flight training class. Students will be scheduled for 2 days of flight training. Standard training includes rotary wing (quadcopter) and increases in difficulty over the training syllabus. Day 1 includes pre-flight, set up, planning, and basic maneuvers. Day 2 includes advance procedures and flying scenarios. 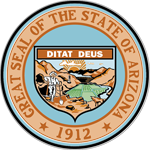 After students complete all 3 phases, a free prep course for the FAA part 107 written test will be offered. 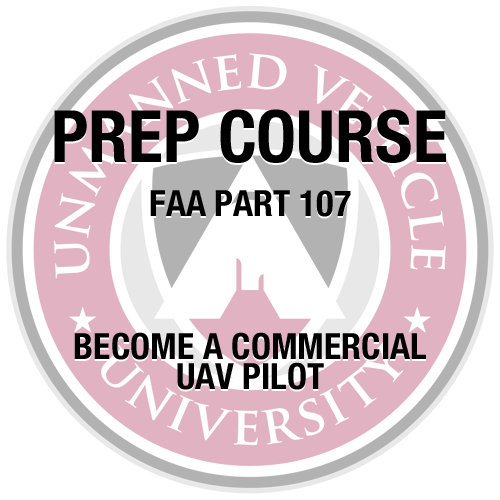 The prep course will prepare the students to pass this required test by the FAA.